Books you want to see as a TV show or film. It depends on the story. Some need a slower build; others work better by plunging you straight in. As long as it feels right for the piece, I'm happy either way. Tonight, I will do the impossible. I could see the speckles of shifting color in the iris and watched the pupil grow larger when the sunlight from the window faded at dusk. The Magician's Lie by Greer Macallister, releasing in April 2017. The Amazing Arden is the most famous female illusionist of her day, renowned for her notorious trick of sawing a man in half on stage. But one night she swaps her trademark saw for an axe. When Arden's husband is found dead later that night, the answer seems clear, most of all to young policeman Virgil Holt. Captured and taken into custody, all seems set for Arden's swift confession. But she has a different story to tell. Even handcuffed and alone, Arden is far from powerless, and what she reveals is as unbelievable as it is spellbinding. I'm about halfway through this book and am enjoying it so far. I like the slightly surreal sense to the tale, and the fact that I can't yet tell how it's going to end. I should have a review up for it in the next few days, but for now I'd recommend it to readers who enjoyed The Night Circus. My next few days are really manic, so sorry if I don't get to comment on as many other posts as usual. I will be back to normal routine, ready to read and comment more, next weekend. Sounds like a very unusual story! The opening makes me want to know what happens next. My Friday post features The Other Daughter. Great Blog Hop Answer....I may have answered mine too quickly. :) I didn't think about the type of storyline. I like your thoughtful answer. That's an opening sentence that interests me immediately! I've been pondering reading this book - thanks for sharing your thoughts on it! Sounds good to me!! Happy March! I am glad you are enjoying The Magician's Lie. I hadn't expected to like it as much as I did. I hope you continue to enjoy it! I almost clapped when I read your answer for the hop question this round. That is so true! Quick starts would not work for every book, nor would slow ones. I like both myself--and a lot depends on the type of book it is. And sometimes even my mood. I hope you have a great week! Thanks for sharing! Sorry I'm a bit absent on commenting this week, but thanks to everyone who's stopped by! In regards to your BBH question, I agree -- it totally depends on the plot. 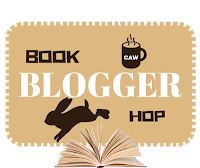 It's logical that a book that has a very fast-moving, action-packed plot would start off with a bang (and keep you on the edge of your seat, too), while a more character-driven book would start off in a more leisurely fashion. In my case, it all depends on my current mood when I pick up a given novel. I've been wanting to read "The Magician's Lie" for a while now. That plot sure sounds intriguing! 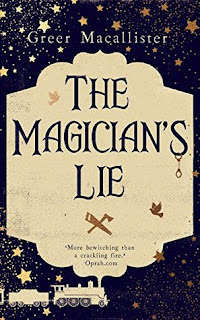 I don't usually read mysteries, but this one caught my eye because it's not every day you hear about FEMALE magicians!